GE Intelligent Platforms recently introduced the IPS511 rugged situational awareness processors designed to provide 360º situational awareness to ground vehicles, aircraft, remote unmanned platforms, as well as security and surveillance systems. 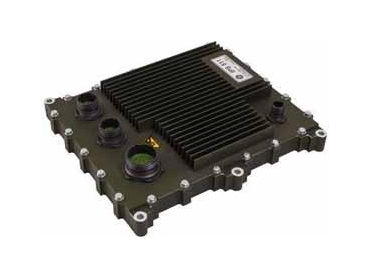 Presented as a single board solution housed in a rugged chassis, the IPS511 rugged situational awareness processors are characterised by their small size, weight and power (SWaP) attributes, enabling deployment as a simple, cost-effective upgrade in virtually any platform operating in a demanding environment. Available as an off-the-shelf, ready-to-go solution that is also highly flexible, IPS511 rugged situational awareness processors extend the broad range of video processing sub-systems from GE that respond to the growing military requirement for advanced visualisation tools. Seamlessly merging video signals from multiple sensors into a real-time interactive 360º panoramic image, which can be displayed on one or more monitors, IPS511 rugged situational awareness processors save space and power, contributing significantly to keeping personnel safe. The IPS511 will allow troops to stay in-vehicle and protected, while still having full visibility on the operation. It also provides the required capability of seeing where the target is in relationship to the rest of the armoured vehicles on the ground in the AOR (Area of Responsibility). According to Al DiLibero, President, Military & Aerospace Embedded Computing, GE Intelligent Platforms, the IPS511 takes advantage of GE’s innovative technologies, together with its expertise in rugged systems to provide a solution that is quick, simple and inexpensive to implement while delivering substantial and highly sophisticated performance. The IPS511 enables prime contractors and systems integrators to reduce NRE (Non-Recurring Engineering) costs, simplify integration, and provide affordable readiness to defence departments.